The fight between ZeniMax and Oculus is about to get bloody. Back in 2014, the company behind games like Fallout and Elder Scrolls announced a lawsuit against Oculus claiming that they had misappropriated Virtual Reality related ZeniMax trade secrets as well as infringed ZeniMax trademarks and copyrights. Interestingly, this happened shortly after Oculus was purchased by Facebook for $2 billion. In August 2016, the existing complaint was integrated with a straight accusation towards former employee and legendary programmer John Carmack. The creator of DOOM and Quake, now Chief Technical Officer (CTO) at Oculus, allegedly copied in an illegal way thousands of documents containing proprietary IP to a USB device that he would then take with him to Oculus. 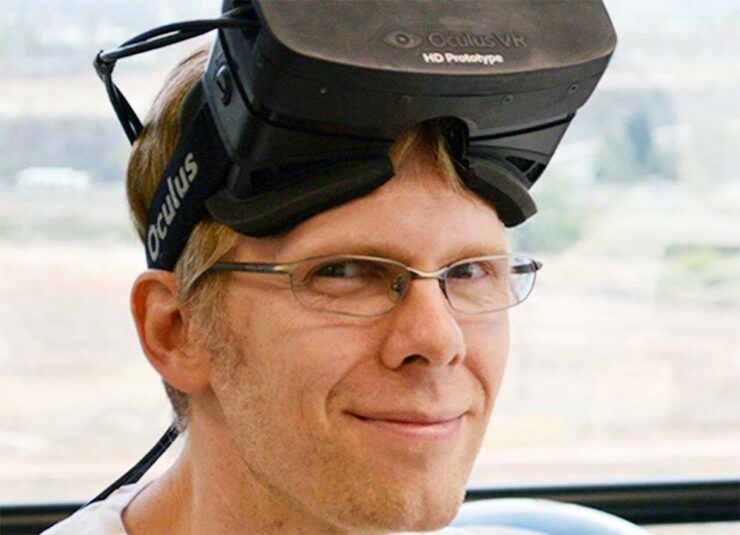 As you might remember, Carmack was instrumental in helping Oculus Founder Palmer Luckey at the very beginning. Luckey admitted as much over and over again; of course, we’re not in the position to judge whether there were any wrongdoings there. The court case due to begin shortly will settle everything and yesterday ZeniMax took the opportunity to release another statement on the matter. With the start of the trial of our case in Federal District Court in Dallas against Defendants Facebook, Oculus and its management, ZeniMax and id Software welcome the opportunity to present substantial evidence of the Defendants’ misappropriation of our Virtual Reality (VR) intellectual property. That evidence includes the theft of trade secrets and highly confidential information, including computer code. ZeniMax will also present evidence of the Defendants’ intentional destruction of evidence to cover up their wrongdoing. ZeniMax and id Software are the visionary developers of breakthrough VR technology, and look forward to the vindication of our claims. Oculus, as you might expect, isn’t exactly eager to give in to these claims. Last week, they released the following statement to UploadVR via email. We’re eager to present our case in court. Oculus and its founders have invested a wealth of time and money in VR because we believe it can fundamentally transform the way people interact and communicate. We’re disappointed that another company is using wasteful litigation to attempt to take credit for technology that it did not have the vision, expertise, or patience to build. Today, Facebook Co-Founder Mark Zuckerberg is expected to appear in court to defend Oculus and explain that the company’s own work made it the successful VR technology it is nowadays. We’ll keep you up to date with any and all developments on this thorny litigation. Stay tuned.